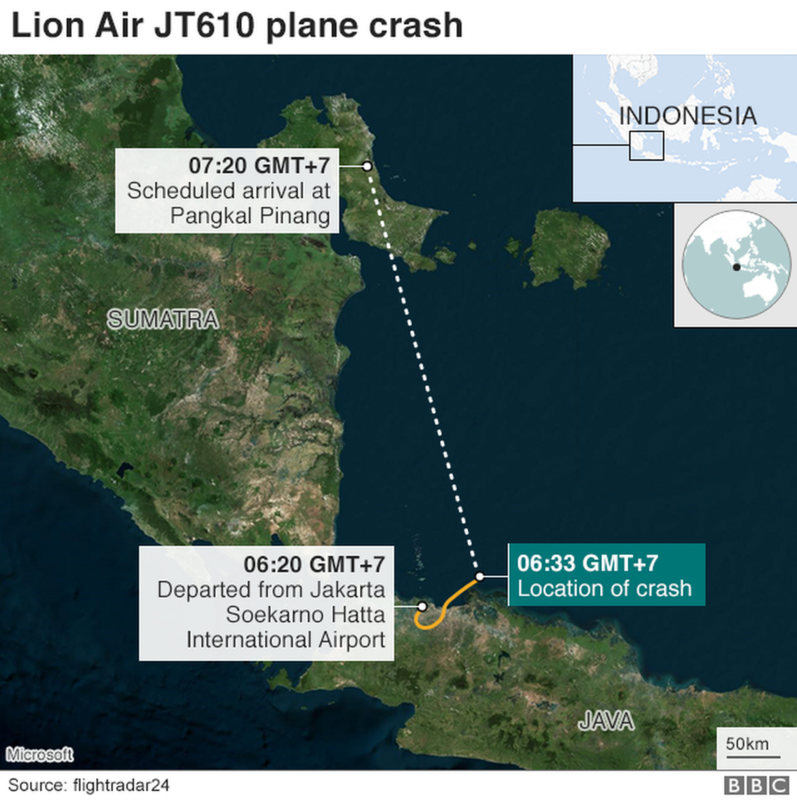 Indonesian budget airline Lion Air’s Boeing 737 went down after taking off from the capital Jakarta. Flight JT 610 took off from Jakarta with 189 people on board at 6:20 am on Monday and was headed for the western city of Pangkal Pinang. It was due to arrive at Depati Amir airport in Pangkal Pinang an hour later but 13 minutes into the flight, authorities lost contact. There is no sign of survivors. Rescuers have recovered some bodies and personal items, including baby shoes. The cause of the crash, is still being determined. The aircraft involved in the crash was made in 2018 and had been in operation since August is a single aisle plane used for short-haul travel. This is the first reported major accident involving a Boeing 737 Max which is an updated version of the 737. The airline operates 11 Boeing 737 Max 8 planes but the others have not had a similar technical problem. The company has no plan to ground the fleet after this incident.